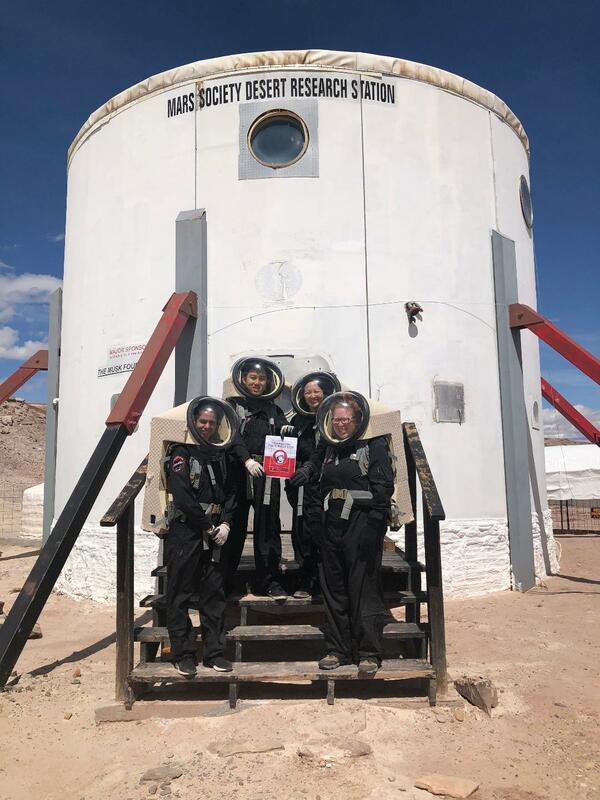 Members of Crew 208 (Medical Makers) recently celebrated Yuri's Night 2019 at the Mars Society's Mars Desert Research Station (MDRS) in southern Utah. Completing its 10-day field simulation this past weekend, the 5-member team was glad to join in the world-wide effort to commemorate humanity's achievements in space exploration. Based in Canada, Medical Makers is a global community of innovators, patients, and healthcare providers who use low-cost technologies to make sustainable solutions to save lives, time and money.